Are Canoeing and Kayaking Safe With Osteoporosis? It’s boating season! BUT, don’t bring your dog along! Not safe! Recently, on the National Osteoporosis Foundation’s online Support Community, a woman newly diagnosed with osteoporosis asked whether canoeing would be safe for her, as well as jogging or lifting an 11kg box. 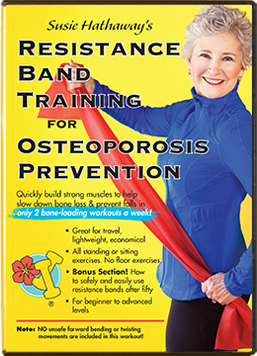 I’m always relieved when people check out what is safe and what is not when they have bone loss. Carrying on with exercise-as-usual can sometimes result in vertebral fractures. The front part of the spine is much weaker than the back part, which is why wedge fractures occur. 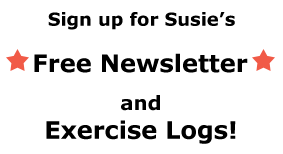 The back part of the spine usually only breaks with a trauma, such as a car accident, while simply bending forward or a sneeze can result in a compression wedge fracture in susceptible people. It’s hard to predict who will fracture, so heeding the advice to keep a neutral spine and not twist to the point of strain can keep many fracture free. Being involved physically and socially with active boating sports has wonderful health benefits. However, the trouble that I see with canoeing and kayaking is being able to maintain a neutral spine without bending forward or twisting. Getting the boats in and out of the water is very risky because of the weight, awkward positioning, and quick moves getting the boat up and down. In general, for those with osteoporosis, brisk walking is recommended over jogging, which could be too high of an impact. Lifting an 11kg box would be risky. The NOF recommends a conservative estimate of lifting no more than 10 pounds and to ask your health care provider’s advice about lifting more than that. With any activity, sit or stand tall, keeping excellent upright posture. I hope that all of you with bone loss have a doctor who takes an interest in your situation and a physical therapist (PT), both with experience with patients with bone loss. The PT in particular can give you guidance in which moves are safe for you, individually. At least one appointment would be very valuable. 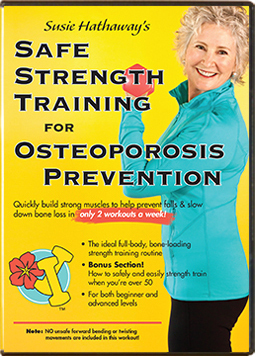 The “Exercise for Your Bone Health” and “Safe Pilates and Yoga for Bone Health” webinars at https://nof.org/webinar-series are both excellent for giving you a sound basis for safer activities with bone loss. They are free, easy to access, and offer a wealth of information. Then, when you do have your appointment with a physical therapist, you’ll have more educated questions to ask her or him. 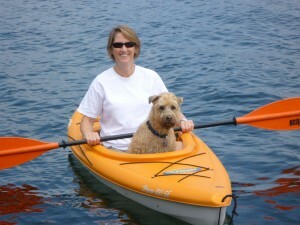 Be sure to read Dr. Karen Kemmis’s response about kayaking at https://forums.webmd.com/3/osteoporosis-exchange/forum/621/2 Scroll down. Best of luck, everyone, deciding which exercise options are best for you. I hope that you can find activities with good social interaction, too. Exercise buddies and groups always help to keep us active and happy!